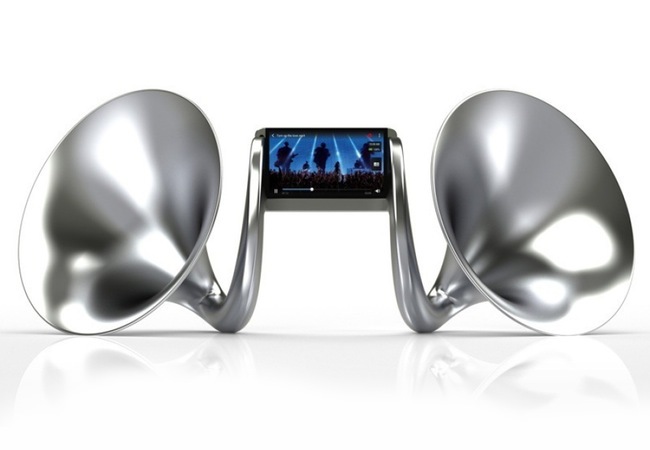 A new and very unique speaker dock has been unveiled this week which has been designed to be used with the HTC One, One Mini or One Max smartphone, in the form of the new Gramohorn II speaker dock. 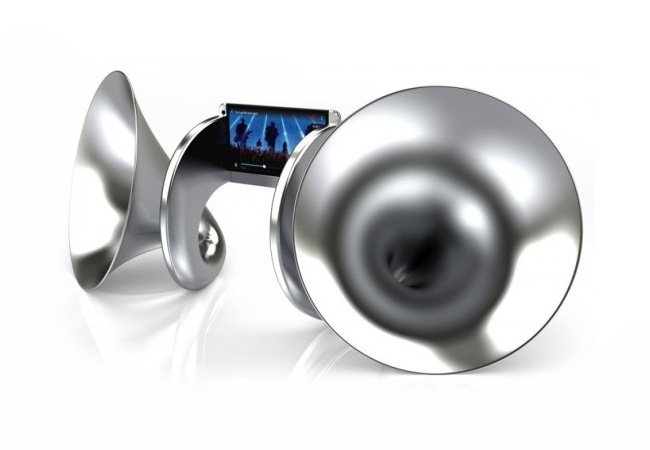 The Gramohorn II has been designed to amplify the sound, HTC smartphone without the need for any electronics and uses just acoustics of the sounds created by the smartphone. The Gramohorn II is created using 3D printing technology and provides stereo sound and increases the overall volume created by the smartphone by 50 percent as well as adding additional base to the audio. Another great feature about the new Gramohorn II speaker dock is that it can be finished in any colour you desire by simply hand painting it. The new Gramohorn II speaker dock is now available to purchase for around $1600 or £999. But if you are looking for something extra special you might be interested in the limited-edition stainless steel version of the Gramohorn II dock which is available to purchase for around $8000 or £4999. For more information on the new Gramohorn II dock jump over to the official website for full details and purchase options. If you prefer there is also a mono Gramohorn version of the speaker dock available for the HTC smartphones which was originally designed for use with Apple’s iPhone.